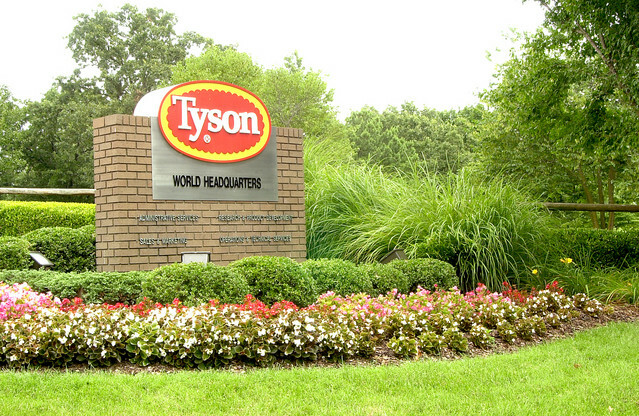 The timing is unusual- but on the same day cattle industry leaders gathered for five and half hours to discuss beta-agonists, Tyson Foods has sent a letter to feedlots they do business with- informing them they will stop buying cattle fed with one of two beta- agonists currently approved in the US in thirty days. The product targeted is Zilmax, produced by Merck & Co.
"The purpose of this letter is to provide notice that within 30 days - or as of September 6 - we will no longer purchase cattle that have been fed Zilmax. This suspension will remain in effect until further notice. The entire letter can be seen by clicking here. At the cattle industry session, the audience heard from a variety of experts on the two products and the positive benefits of the products- as well as some of the concerns that included lameness by some animals fed with the product and sensitivity to hot weather. The most outspoken comments came from Dr. Temple Grandin, who flatly told the cattle leaders gathered that we cannot allow "bad to become the new normal- and this is bad." She said these animals that appeared to be tenderfooted were having a great deal of walking as they arrived at the processing plants. This was confirmed by Dr. Lily Edwards- Callaway of JBS, who offered confirmation to Grandin's observations of unsteady cattle showing up at processing plants operated by JBS. After her presentation to the group- we talked with Dr. Grandin, who called this a "real severe welfare problem." You can hear our full conversation with Dr. Grandin by clicking on the LISTEN BAR below. Ron Hays talks with Dr. Temple Grandin about concerns she has seen of cattle fed beta-agonists.